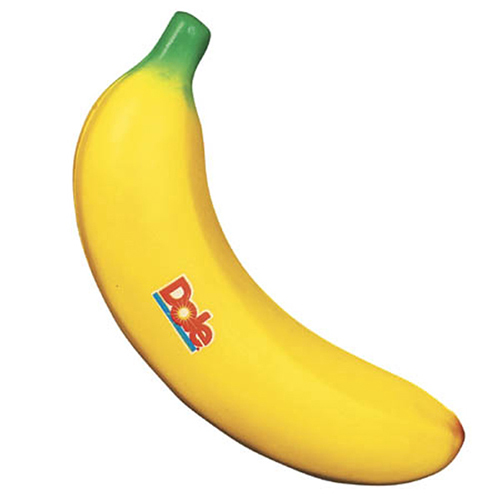 Go bananas over this fun Banan stress ball! The banana stress reliever is an a-peeling value! You can custom imprint these banana stress balls with your logo and message for your next fair, event, educational program or product launch. The possibilities are only limited by your imagination. The banana stress ball is the promotion for industries such as food service, restaurants, grocery chains, orchards, juice manufacturers, education, agriculture, fitness and health care. Watch your competition peel away with this budget-friendly and fun marketing tool! Item Size : 1-1/4" dia. x 5"